Dental X-Rays Are They Safe? Dental x-rays are an essential diagnostic tool that gives the dentist an insight to the inside of the teeth, their alignment as well as the jawbone. A first visit to the dentist may require an x-ray and follow-up x-rays may be necessary to diagnose certain conditions or keep track of changes in alignments and placement of teeth as we age. All types of x-rays expose the body to a certain amount of radiation. However, the relatively small amount of radiation from dental x-rays is generally considered to be safe for both children and adults. It is, however, important to inform your dentist if you are pregnant with the risks associated with radiation and x-rays are increased for a fetus. 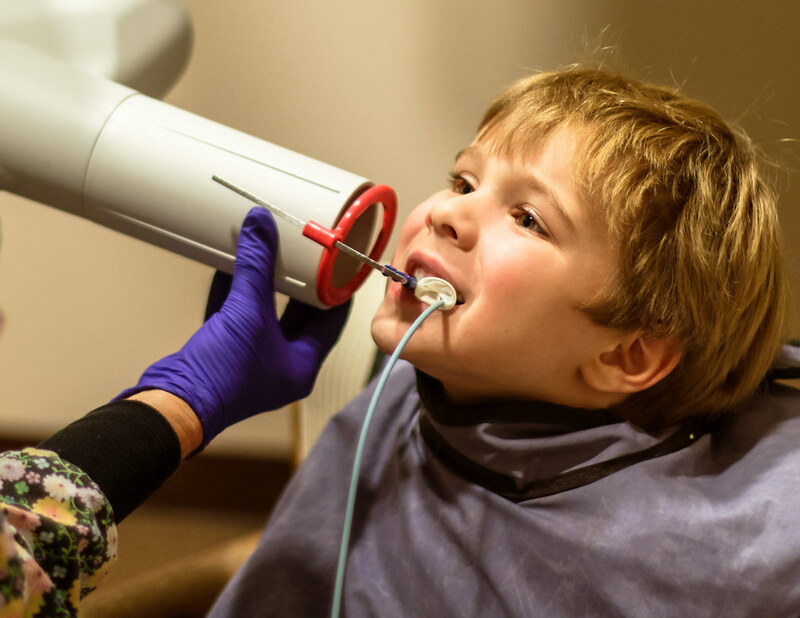 While a dentist will always assess the risk involved with exposure to radiation relative to the benefits of an x-ray, there are some cases where the tool seems to be used excessively. There is even some debate as to whether this excessive use can lead to brain tumors. Usually, prolonged or regular x-rays are considered to increase the risk of developing tumors and cancer. Studies have shown that this risk is increased by how often a patient receives a dental x-ray. Dentists are provided with guidelines as to how often a patient should receive an x-ray. In general, between two and three years is considered safe. However, it is up to the discretion of the dentist to determine whether a dental x-ray is necessary at the end of the day. Some patients may only receive an x-ray every five years or even longer. However, a patient who has major dental problems and is receiving treatment, as well as some different procedures, may have more than one x-ray within a few months. Once again, it is necessary for a dentist to weigh up the risks versus the benefits of an x-ray. The rule is that less is always better and it is recommended that patients always ask their dentist if an x-ray is entirely necessary before undergoing one. On the other hand, it is advisable to have a dental x-ray performed when a dentist highly recommends it, especially if it has been over two years since your last x-ray. In general, dental x-rays are considered to be safe and should not increase the risk of developing brain or other tumors or cancer as long as the guidelines for ALARA (as low as reasonably achievable) are followed, and x-rays are not performed on a regular basis. ALARA provides basic guidelines for using the least amount of radiation to achieve the best results from an x-ray image. With dental x-rays, this amount is meager. It is therefore not necessary to be concerned about the safety of dental x-rays unless you are receiving them more than once every 2 or 3 years. If you do have concerns, discuss these with your dentist as well as a medical practitioner who can run a series of tests to detect whether there is a need for care.